July 26, 2017 July 26, 2017 by Beau H.
For years, you’ve likely had a closet or dresser drawer jammed with tees. Old high school and college tees, loud logo tees, maybe a much-loved band tee here or there … but what about a stylish T-shirt to wear when, well, you just want to wear a great-looking, no-fuss slim T-shirt for summer? That’s what we’re covering in today’s #menswear rundown. We’ve talked about how to wear a T-shirt with a suit (it can be done! ), but it’s even more refreshing to see that some of your favorite menswear designers are taking the classic staple and upgrading it with quality fit and fabrication. Indeed, the humble T-shirt can turn into a style weapon of sorts …. if you buy the right one, that is. And if you, like me, love shopping for the best new gear for men, I’d urge you to leave some space on your list for what might be your new favorite T-shirt (or heck, several new favorite T-shirts). You’ll recognize brands familiar — like Outerknown — and perhaps more unfamiliar, and that’s what we want. Buy one of the best men’s T-shirts on this list, and you’ll be set for layering with a light wash denim jacket, teaming with an unstructured navy blazer and rocking it on its own to your next music festival. Let me know what you think of the below picks in the comments or on Twitter. Oh, and as per usual … you can see how I’m styling my T-shirts on Instagram. Let’s get right to it! Two unique, textured tees fit for wearing with plenty of ensembles this summer. OK, so you’ve surely seen Outerknown and the brand’s Pagoda Stripe Tee in our Style Pick of the Week series — right? If you’re on the hunt for a tee that can work reliably well on its own, you’re going to want something with a bit more texture and heft to the fabric — and that’s what the Pagoda Stripe Tee brings to the table. Your Style Guide author likes it in the crisp, pleasingly earthen Whitewater shade, but the Ink Stripe Tee would look great with a slim denim jacket or a grey cotton blazer. 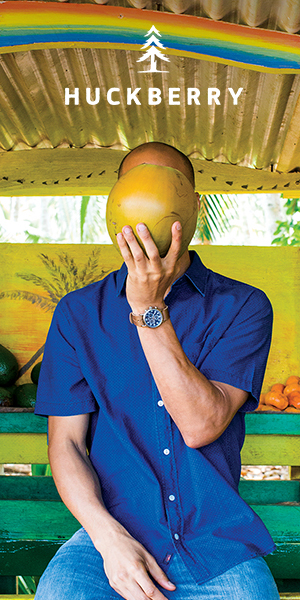 Two options, two winners — both among the best men’s T-shirts for summer, no questions asked. Two broken-in options from F&T — both featuring a modern fit and excellent colors. The key with picking out a stylish slim T-shirt to wear entirely on its own, sans jacket or other layers? Looking for a T-shirt that’s crafted with proper texture and fit in mind. It’s those visual details that make the difference — and as always, Flint and Tinder gets the little things right. The Flint and Tinder slub tees for sale this season get the little things just so, with a range of dusty color options ideal for pairing with slim light wash denim and your favorite suede chukka boots. As for me? I love the Flint and Tinder Coral Slub Tee, and would definitely wear it with a khaki cotton blazer. A simple, classic V-neck tee made for easygoing style. We’ve talked about how the best men’s T-shirts incorporate subtle visual details, right? Well, let’s make some room for that timeless men’s style essential, the classic white T-shirt. There should be space for one in every closet — even if you only wear it in the most pared-down of style situations. We’re talking slim grey denim, stylish leather high-top sneakers and a tee like the Bread & Boxers Relaxed V-neck — for example. And when you want to layer it — say, under a classic chambray shirt or a cotton bomber jacket — it’ll work just as stylishly. And the Relaxed V-neck is priced right, too. You get what you pay for with Old Navy — simple, quality style. There are times when you just want an affordably priced tee with a simple (yet visually interesting) design, right? That’s where Old Navy comes in. You could feasibly stock your closet with the brand’s no-frills basics, including this neat red striped tee that’s available for under $20. With the cash you’re saving here, you should have some left over for a burger and a beer — wear it with a leather moto jacket for a dose of added cool. A well-made, richly colored tee that’ll earn you serious style points. As we’ve talked about previously, the best men’s T-shirts pack a serious punch in terms of quality style, excellent visual details and the best fabric money can buy. For a shockingly low price, that’s what Iron and Resin delivers with its handsome, rugged Indigo Tide Tee. Featuring a custom look that comes from the unique indigo dye process, the Indigo Tide Tee is made from soft cotton jersey — that makes it the exact type of tee you’re going to want to wear with your favorite chinos and stylish summer sneakers. Feel free to layer it under a rugged cardigan when the temperature drops this fall, too. You get two excellent layering pieces for the price of one — including a stylish pocket tee. We’re going beyond our usual five picks today, if only because there’s simply too much out there when it comes to stylish men’s T-shirts. Just as with other Bespoke Post gear — if you’re not familiar, get acquainted — the Bespoke Post Crew Box packs a tremendous value for a low price. In fact, you get plenty more than just a classic pocket tee in the Crew Box — you also get an easy-to-layer indigo crewneck sweater, perfect for breezy summer nights or packing up some of the best gear to head to the beach. Wear the tee on its own, then add the sweater as it gets a bit colder — you can’t go wrong. An entirely unique pocket tee with a cool design — easier to wear than you’d think. Want a T-shirt that’s anything but ordinary? Enter the Huckberry Modern Visual Language Pocket Tee. It’s a visually intriguing, conversation-worthy tee designed for Huckberry by artist Kyle Steed. Featuring an unexpected white-and-pink color combo, it’s a breezy summer tee to wear on your next bar crawl — preferably alongside slim chino shorts as you sip on one of the best summer beers, ehh? A timeless option available through Huckberry for an affordable price. Last but certainly not least, take a cue from the easy, breezy style of guys the world over by putting on a classic striped T-shirt this summer (and well beyond). As it were, the La Paz Guerreiro Pocket T-shirt provides the perfect chance to step out in continental style — think slim chinos, white sneakers and perhaps an unstructured grey linen blazer. Given the fit and quality fabrication of this La Paz tee, it’s even the type of T-shirt you can wear with a suit (preferably the handsome Taylor Stitch Telegraph Suit, ehh?). So, that’s a lot of value packed into just one tee — what are you waiting for? OK, folks. That’s all for today in terms of stylish men’s T-shirts to buy now. What did you think? As we’ve discussed before, designers and brands continue to do a very reliable job in terms of upgrading the fabrics and fits of your favorite T-shirts. Whether you’d consider a classic American-made shirt — like one of the essential Flint and Tinder slub tees as seen at the top — or if you want to go with something a little bolder (like the Modern Visual Language Pocket Tee), there are options aplenty. And there are certainly tees that can work in situations both casual and dressy — the Indigo Tide Tee from Iron and Resin can easily slip under a khaki cotton blazer or a light wash denim jacket in equal measure. If quality and value is what you seek, then I hope the Bespoke Post Crew Box gives you what you’re looking for. In the way of classic American style, it’s also true that an essential white tee belongs in your wardrobe — I think the Bread & Boxers Relaxed V-neck more than gets the job done. Lastly, continental style can be had in spades with a pick like the La Paz Guerreiro Pocket T-shirt — as with the rest of our picks for the best men’s T-shirts, getting the look you desire is as simple as buying a tee that you love. To add to this list, hit up The Style Guide Facebook page or leave a comment below. June 18, 2016 June 9, 2016 by Beau H.
Not just any old T-shirt, thanks to the vintage wash and subtle styling details. If you follow The Style Guide or peruse occasional photos from this author on Instagram, you’ll know I love me a great T-shirt. When you talk about a T-shirt that incorporates texture and subtle styling details, I’m sold (take this Stock Mfg. Co. Pocket Tee, for example). Sure, a tee’s not as fancy or nearly as crisp as a classic blue Oxford or a slim chambray shirt, but it’s a particularly useful summer style essential — and in the right cut and fabric, it’s a surefire style upgrade compared to athletic or logo-ridden tees you might be used to rocking. And on that note, I’m pleased to give you Exhibit A — this ridiculously stylish Todd Snyder Pocket T-shirt. It’s vintage-washed and weather-dyed for a broken-in, authentic look, and it features the sort of premium styling details we’ve come to expect from Mr. Snyder. The lauded American menswear designer is a favorite of this site (and a heck of a lot of other publications) for his approach to both continental, classic tailoring and rugged sportswear inspired by both vintage & Americana themes. It’s quite the combination, and it’s done in a way that’s wearable and relatable for the everyday guy. The Todd Snyder Pocket T-shirt is nearly as premium and well-made as a tee can get, and that means it can be rocked plenty of ways this summer. 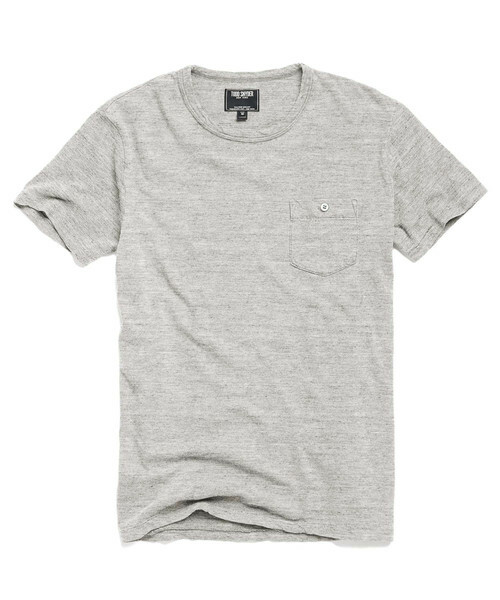 Just one styling option for this Todd Snyder pocket T-shirt — it’ll go just as well with sweatshorts as a slim suit. It’s done up with just the right amount of style details, including subtle double-stitching on the sleeves, pocket and collar. The button at that front chest pocket is a nice visual change of pace, too. Those small touches make it the type of tee you can wear very confidently atop your favorite pair of dark blue denim, and they also make it very suitable to rock with slim olive chinos and some classic white SeaVees sneakers, for example. The slim fit and premium construction make it Exhibit A for another reason, too. Thinking about trying the oft-tricky styling move of pairing a T-shirt with a suit? A tee with some variation in texture plus a slim cut is going to be the way to. Heck, it might not look all that bad with one of the Todd Snyder White Label suits that seem to be gaining in popularity, either. In more casual situations, it’s going to look just as right. Rock it with slim chino shorts and stylish leather loafers for a solid high-low style combo on the weekends, then pair this slim pocket T-shirt up with an unconstructed chambray blazer during the work week. Beneath a sportier crewneck sweater, it’ll also fare well in the fall and winter. The price is assuredly a lot for “just a T-shirt,” but you’re getting so much more styling potential and quality than that. Just tell them to put one on hold for me, ehh? Are you a fan of this Todd Snyder tee? In what ways would you style it? Chime in on Twitter or via Facebook!